$10 per person, with a 20% discount for CBMM members. Hear behind-the-scene stories and insights from the filmmakers as Tom Horton, Sandy Cannon-Brown, and David Harp share their newest collaboration, High Tide in Dorchester, with a special screening at the Chesapeake Bay Maritime Museum on Thurs., Sept. 6, beginning at 5:00 p.m.
With a focus on Maryland’s Dorchester County, the film aims to foster and leverage into action a conversation about climate change and related impacts of sea level rise and erosion. The film looks closely at Dorchester’s Blackwater National Wildlife Refuge, where scientists and managers are already dealing with the impacts of the rising tide. 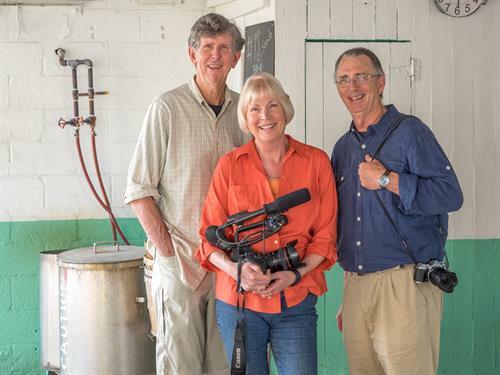 Writer Tom Horton, filmmaker Sandy Cannon-Brown, and photographer David Harp first collaborated in 2015 to produce Beautiful Swimmers Revisited, a documentary inspired by William W. Warner's 1976 exploration of watermen, crabs, and the Chesapeake Bay. Beautiful Swimmers Revisited premiered in 2016 at the Carnegie Institution for Science’s Environmental Film Festival in Washington, D.C., and aired in that same year as part of Maryland Public Television’s Chesapeake Bay Week. The cost to attend the screening is $10 per person, with a 20% discount for CBMM members. The screening takes place in CBMM’s Van Lennep Auditorium, with limited seating, and advanced tickets and more information at cbmm.org/hightideindorchester.